The first professional, purpose-built theatre for young audiences in UK. Described as an asymmetric pavilion, the building has transparent elevations revealing its core, and was designed in consultation with young people. RIBA Winner 2006. 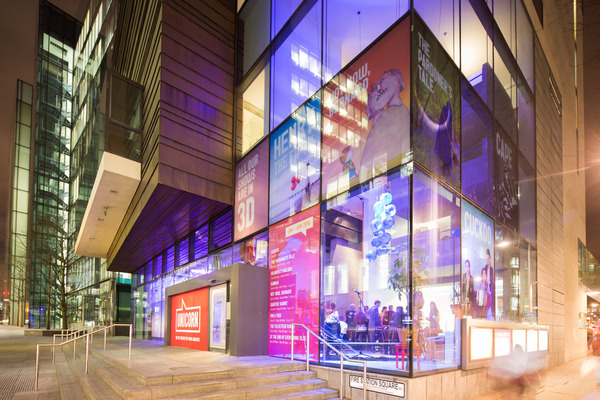 The first professional, purpose-built theatre for young audiences in the UK. The Unicorn is dedicated to inspiring and invigorating young people of all ages, perspectives and abilities, and empowering them to explore the world – on their own terms – through theatre. Founded in 1947 by Caryl Jenner, the Unicorn began life touring in two ex-MOD trucks. 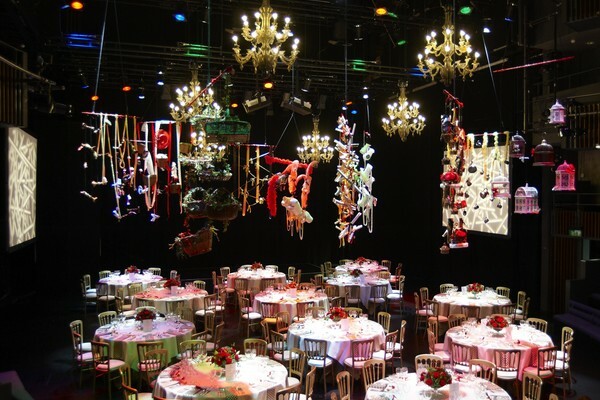 From 1967 it shared space at the Arts Theatre in Covent Garden before vacating in 1999 to acquire a permanent base of its own. In late 2000 the Unicorn launched a Europe wide architectural competition which was won by Keith Williams. Williams’ winning designs were influenced by the Artistic Director at that time, but also derived from a careful assimilation of the internal program, a careful attitude toward the new building’s context, and the opportunity to treat the project’s formal composition sculpturally. 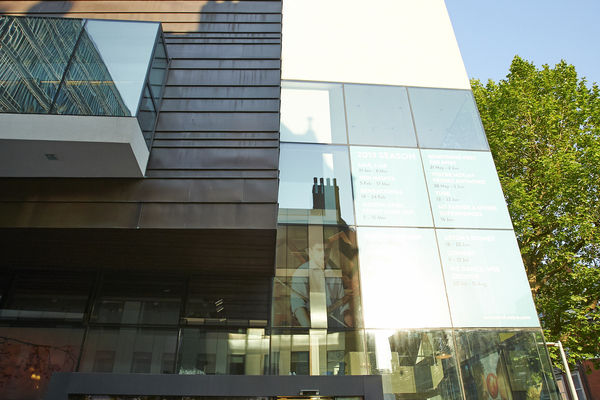 The resultant building grew from the 5 year collaboration between Williams’ office and the Unicorn Theatre. Described as an asymmetrical pavilion, the building has transparent elevations revealing its core, and was designed in consultation with young people. 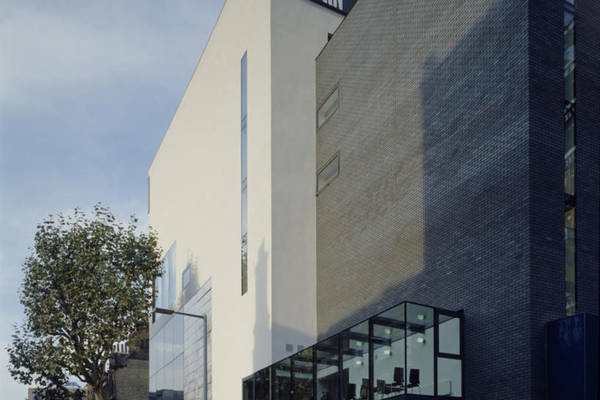 It provides a 350 seat theatre, a versatile studio theatre, workshops and rehearsal spaces, public café (Unicornershop), and is the most far reaching child focussed theatrical cultural institution in the UK. The architecture is deliberately equivocal and adds to its richness. This approach recognises a dynamic future as well as the architectural precedent of this part of London, the narrow streets and warehouses which once occupied the site, and nearby the great 19th century railway viaducts of London Bridge station. The L shaped foyer presents a glazed transparent front along both Tooley Street and the serendipitously named Unicorn Passage (recently renamed Firestation Way), the pedestrian route to the River Thames. The foyer is multi-level and transparent, revealing both the studio theatre and the grand stair, which leads to the Weston Theatre (the main auditorium) 7m above, which, clad in pre-oxidised copper panels, balances spectacularly above the Foyer. The materials are freely but precisely arranged reinforcing the building masses which coalesce to form abstract asymmetrical sculptural compositions for each elevation. The copper of the Weston Theatre contrasts with the blue glazed brick faïence which surrounds the stage door. Bright stucco and blue engineering brick are used elsewhere. The larger architectural gestures of the spectacularly projecting main auditorium and the mannerist corner tower with its eroded base, signal the new building at an urban level, yet the designs are rich in child scale detail. The stages, balconies, seating and in particular the form of the main auditorium itself derived from narrative storytelling, all bring a delicate and appropriate scale to a unique theatre for children. The 3,650sqm Theatre was opened by Lord Attenborough on 1 December 2005 receiving huge critical acclaim. Among many awards, it was shortlisted for the penultimate round of the 2006 Stirling Prize.